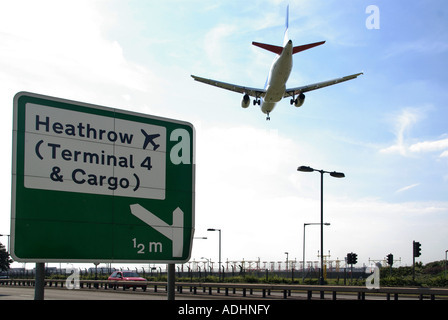 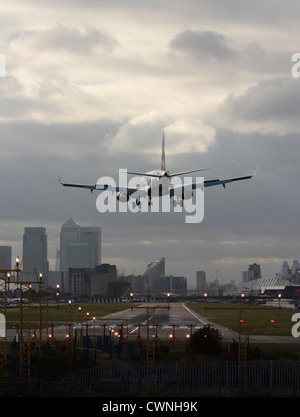 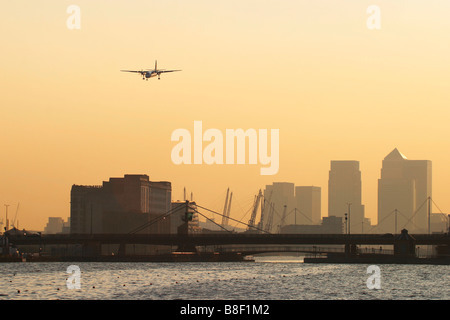 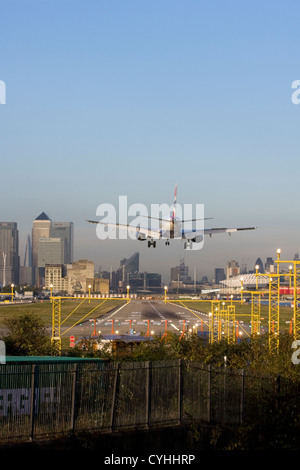 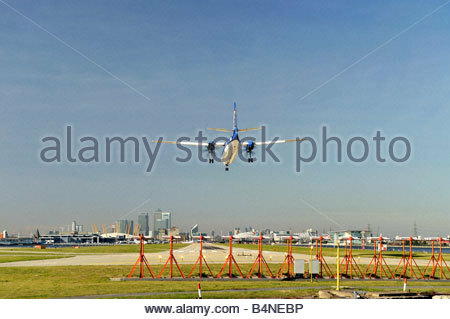 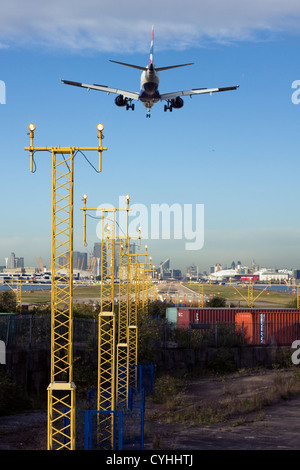 Jet plane landing at London City Airport, with the runway in sight and the financial district visible in the background. 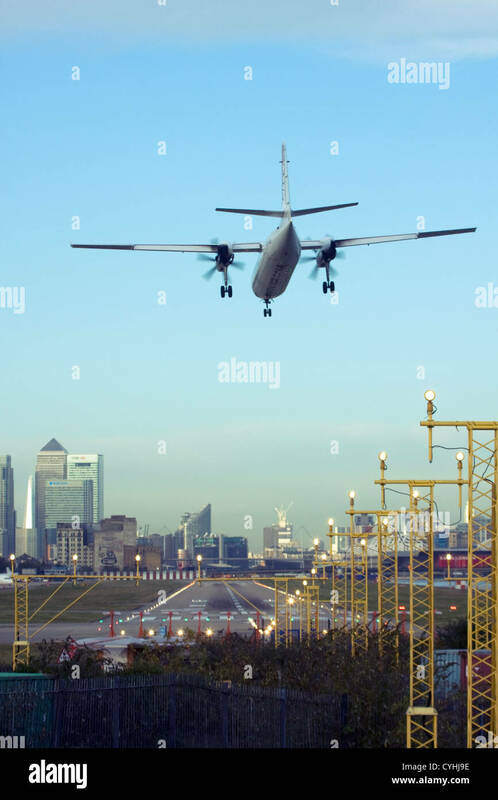 Air travel in the UK. 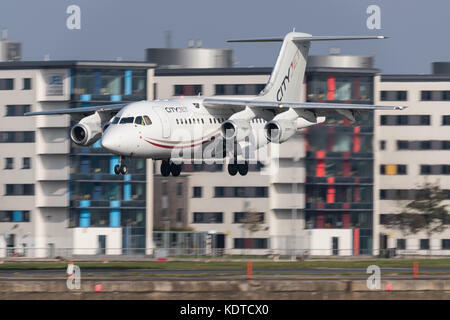 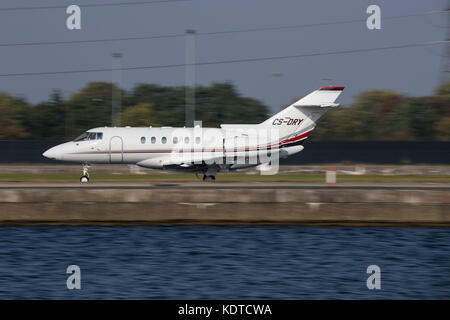 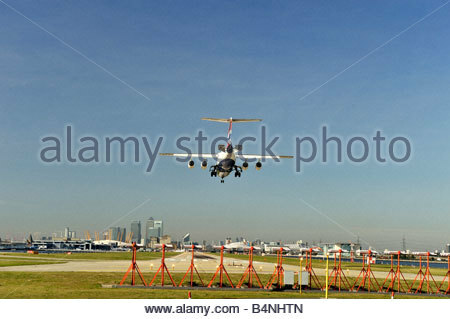 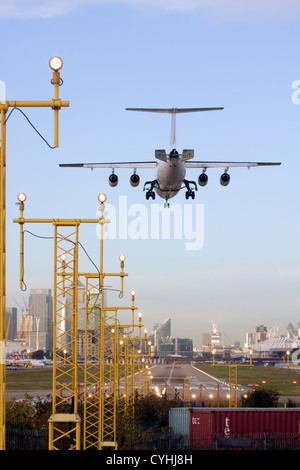 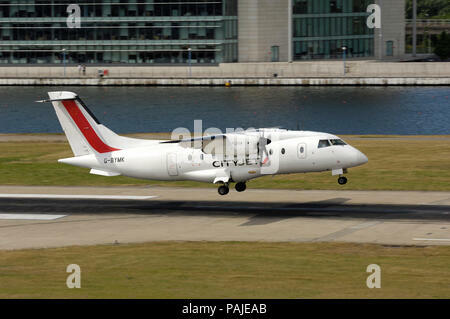 City Jet Avro RJ85 landing at London City Airport. 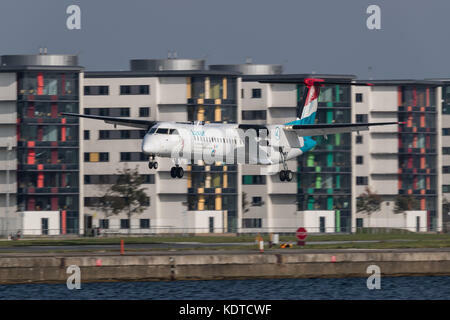 LX-LGN Luxair De Havilland Canada DHC-8-402Q Dash 8 landing at London City Airport.